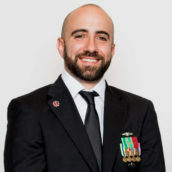 Jerome Deniz served 8 years as a linguist in the US Navy, deploying to Operation Enduring Freedom, as well as several countries in the Pacific Rim. After the military, he earned a Bachelor’s degree in Chinese Studies from George Mason University and was recently accepted to Georgetown University’s School of Continuing Studies Fall 2019 Master’s Program for Emergency & Disaster Management. Professionally he’s worked in the private and non-profit sectors domestically and abroad. He’s spent the better part of the last 15 years living in Hawaii and recently moved back to the DC area. He is also an avid hiker, runner, and lover of music.